Stryker, a Kalamazoo-based medical technology company, today announced the availability of its Surpass Evolve Flow Diverter, following CE mark approval in March. The device is the latest in the flow diversion space for the treatment of brain aneurisms. The diverter device was designed to maximize procedural ease of use and provide physicians with a high level of control during procedures. An aneurysm occurs when part of a blood vessels becomes weak, causing it to bulge and fill with blood. It can occur in any blood vessel, but brain aneurysms are most life threatening. If left untreated, aneurysms can burst and bleed into the brain. Usage of flow diversion technology for the treatment of brain aneurysms has grown in acceptance and significance over the last decade. 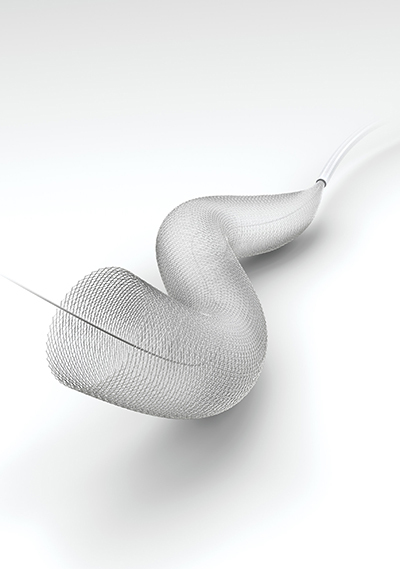 Flow diverters enable physicians to treat patients without entering the sac of the aneurism. According to John Hopkins medicine, flow diversion involves placing a device in the parent blood vessel to divert blood flow away from the aneurysm.